Dorian LPG Ltd., a leading owner and operator of modern very large gas carriers (“VLGCs”), reported its financial results for the three months ended June 30, 2018. -Revenues of $27.6 million and Daily Time Charter Equivalent (“TCE”)(1) rate for our fleet of $16,553 for the three months ended June 30, 2018, compared to revenues of $41.0 million and TCE rate of $22,735 for the three months ended June 30, 2017. -Net loss of $(20.6) million, or $(0.38) earnings/(loss) per basic and diluted share (“EPS”), and adjusted net loss(1) of $(22.3) million, or $(0.41) adjusted diluted earnings/(loss) per share (“adjusted EPS”),(1) for the three months ended June 30, 2018. -Adjusted EBITDA(1) of $5.2 million for the three months ended June 30, 2018. -Prepaid $66.9 million representing all outstanding amounts under the bridge loan agreement with DNB Capital LLC (the “2017 Bridge Loan”) in conjunction with the entry into new Japanese financing arrangements. -Entered into three Japanese financing arrangements with 6.0% fixed interest rates for up to seven years and age-adjusted principal amortization profiles of over 25 years, secured by the Captain John NP, Captain Markos NL, and Captain Nicholas ML. -Entered into a memorandum of understanding with Hyundai Global Service Co., Ltd. to research and conduct preliminary engineering studies on ways to upgrade the main engines of up to 10 of our VLGCs to dual fuel technology utilizing liquefied petroleum gas as fuel in anticipation of upcoming environmental regulations mandating a reduction in sulphur emissions. 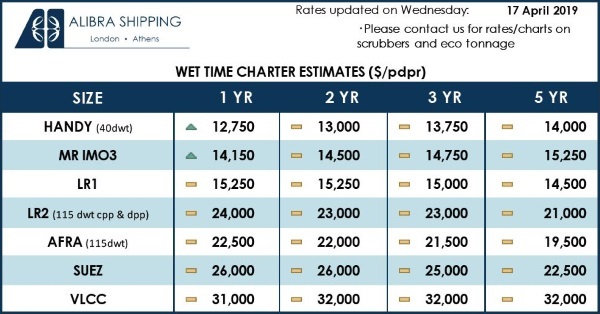 The TCE rate for our fleet was $16,553 for the three months ended June 30, 2018, a 27.2% decrease from a TCE rate of $22,735 from the same period in the prior year, primarily driven by increased bunker prices and slightly reduced spot market rates. Please see footnote 6 to the table in “Financial Information” below for information related to how we calculate TCE. Total fleet utilization (including the utilization of our vessels deployed in the Helios Pool) decreased from 89.6% in the quarter ended June 30, 2017 to 83.6% in the quarter ended June 30, 2018. Vessel operating expenses per day decreased to $8,334 in the three months ended June 30, 2018 from $8,434 in the same period in the prior year. 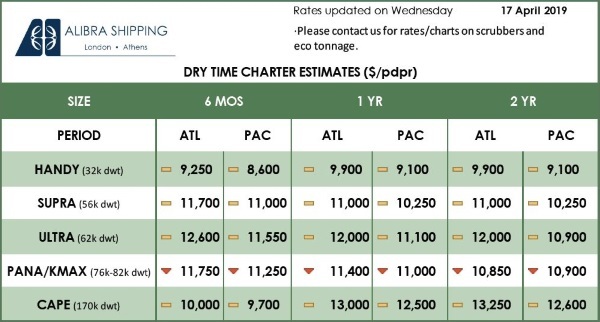 Please see “Vessel Operating Expenses” below for more information. (5) “Pool-TCO” indicates that the vessel is operated in the Helios Pool on a time charter out to a third party and receives as charter hire a portion of the net revenues of the pool calculated according to a formula based on the vessel’s pro rata performance in the pool. (7) “Pool” indicates that the vessel is operated in the Helios Pool on a voyage charter with a third party and receives as charter hire a portion of the net revenues of the pool calculated according to a formula based on the vessel’s pro rata performance in the pool. Appetite for LPG in the East remained strong throughout the second calendar quarter of 2018 due to robust consumption within both the retail and petrochemical markets. China is estimated to have increased its first half of calendar year imports by about 6%, due to healthy propane dehydrogenation margins and limited domestic supply. According to India’s Petroleum Planning & Analysis Cell, LPG demand in India increased by 10% in the second calendar quarter of 2018. In northwest Europe, the petrochemical sector continued to drive increased demand for LPG as cracking margins for LPG remained healthy relative to other feedstocks. Propane’s spread to naphtha favored propane by $126 per metric ton in the second calendar quarter of 2018 versus $74 per metric ton in the second calendar quarter of 2017.